During this holiday season we go from one get-together to another to be merry with friends and family. At its core, the holiday season is about coming together to celebrate what we’re thankful for. But over the past several years naughty ne’er-do-wells have sought to spoil this season of feasting with conjecture and junk science. Did you know that turkey can cause cancer? Or baked potatoes? What about coffee? The World Health Organization, through its France-based International Agency for Research on Cancer (IARC), has said so. Never fear. In reality, it’s more bad science that creates confusion: The amount of these items you’d need to consume — every day — to be at risk would put St. Nick to shame many times over. IARC has reviewed hundreds of different chemicals and found only one that definitively doesn’t cause cancer. Lord help us whenever they get around to water — after all, the agency has already determined that outside air will kill you. Closer to home, states and municipalities across the country are trying to police what we eat and drink. Some jurisdictions have passed taxes on sweetened drinks. These taxes are sold by public health advocates as a way to “nudge” the public toward better dietary choices; politicians see it as a way to get their hands on more taxpayer money. Consumers are wising up: In Cook County, Illinois, where Chicago is, the new soda tax was snuffed out after a massive backlash. If the government’s not pushy enough, there are also those against eating meat — and not afraid to guilt trip everyone else. 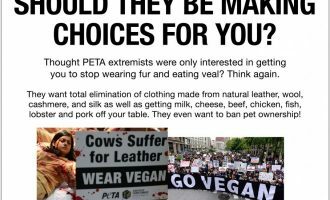 The well-known group PETA (People for the Ethical Treatment of Animals) has a new ad this year comparing eating turkey to eating a human baby. Who knew that a drunken uncle wouldn’t be the most obnoxious person at the table? Not even fruits, vegetables, and grains are safe. Many are worried about genetically modified foods (GMOs)—most corn, for instance—and some have pushed for mandatory labels on these foods, as if they deserve to be stigmatized. Hardly. Consider this: The USDA, FDA, and EPA all have to sign off on new GMO foods before they can be sold to the public. Still worried? After nearly 20 years of studies scientists say there’s no reason to be concerned. People want choice. Some families don’t like the taste of turkey or beef so they get a ham or do a completely different cuisine altogether. That’s choice. But having special interest groups use scare tactics or lobby politicians in an effort to stigmatize those who simply want to enjoy Christmas is shameful. 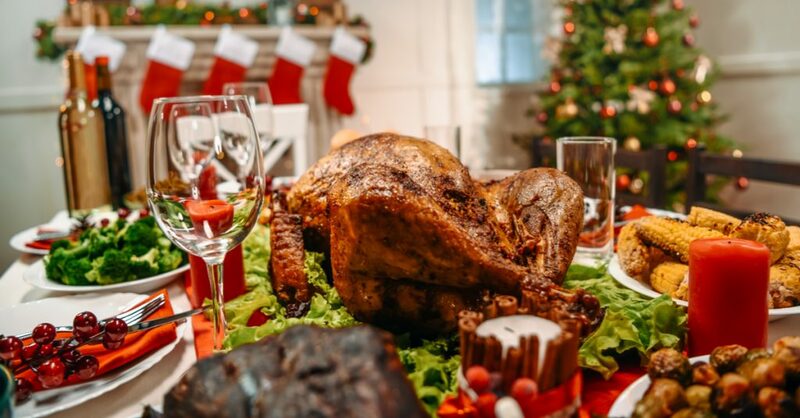 When you gather around a table or schmooze at a party this holiday season and someone starts in about the “dangers” of a given food or drink, here’s an idea: Tell ’em to stuff it.